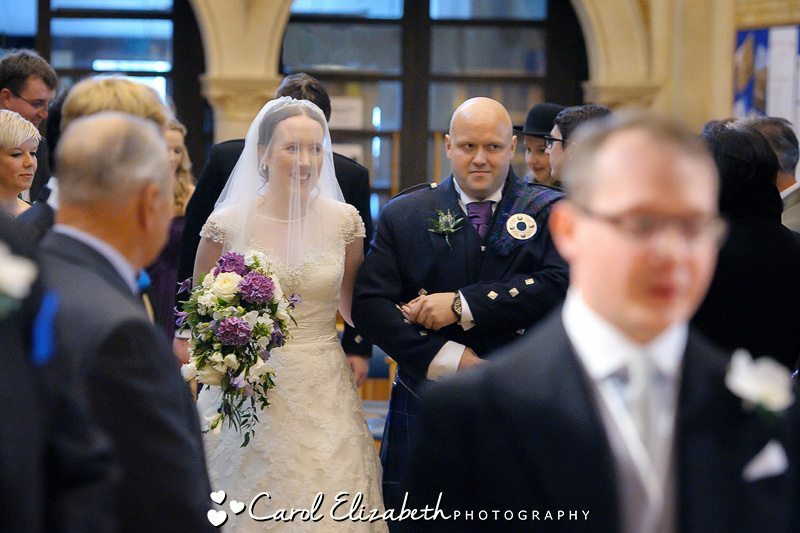 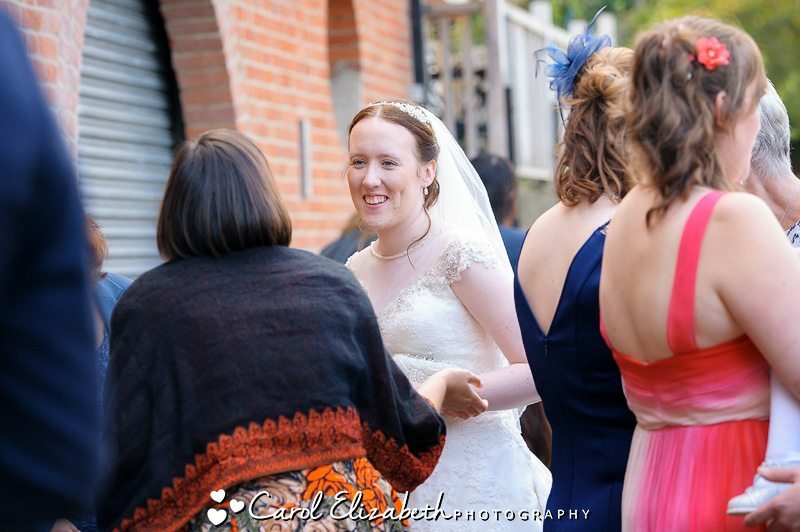 My last wedding of the 2014! 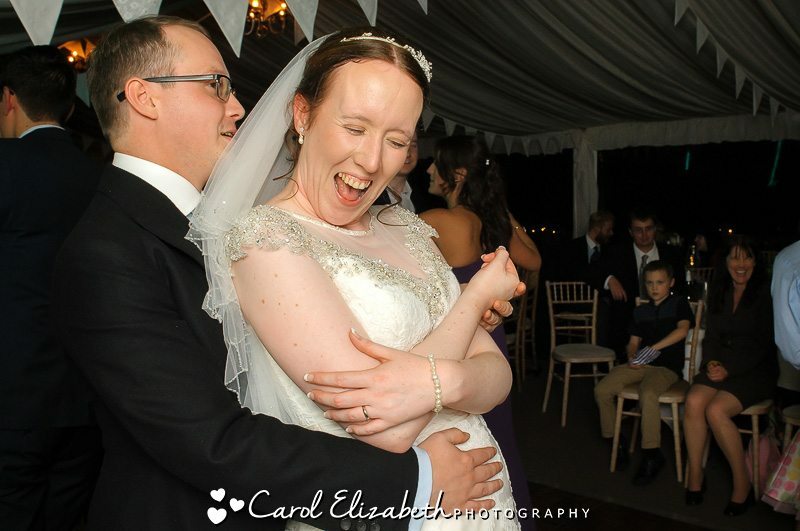 Its taken me ages to do this blog post – I wanted to take some time and do it properly as there are lots of lovely moments to choose from. 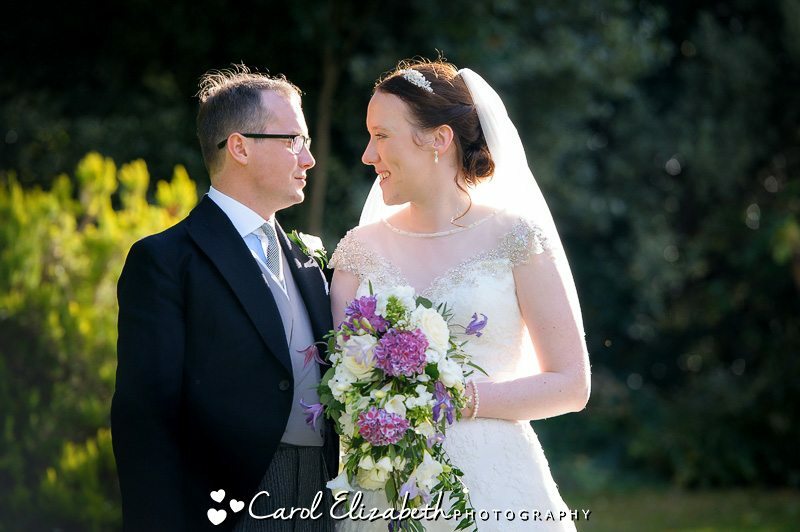 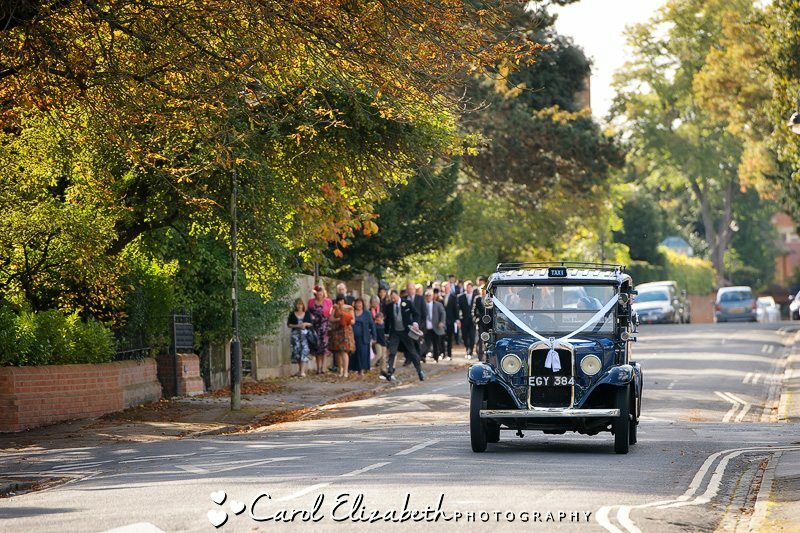 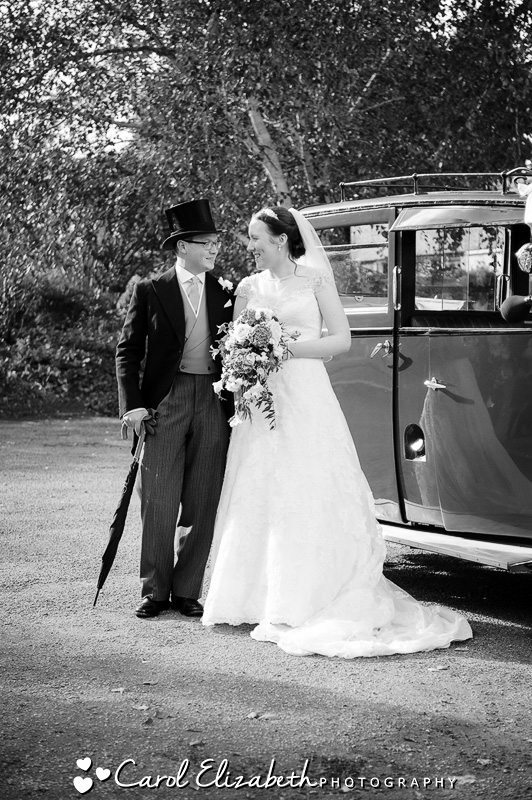 I loved this wedding – a truly lovely couple, two great venues, beautiful autumn sunshine, a fantastic fancy car, beautiful outfits and some great suppliers. 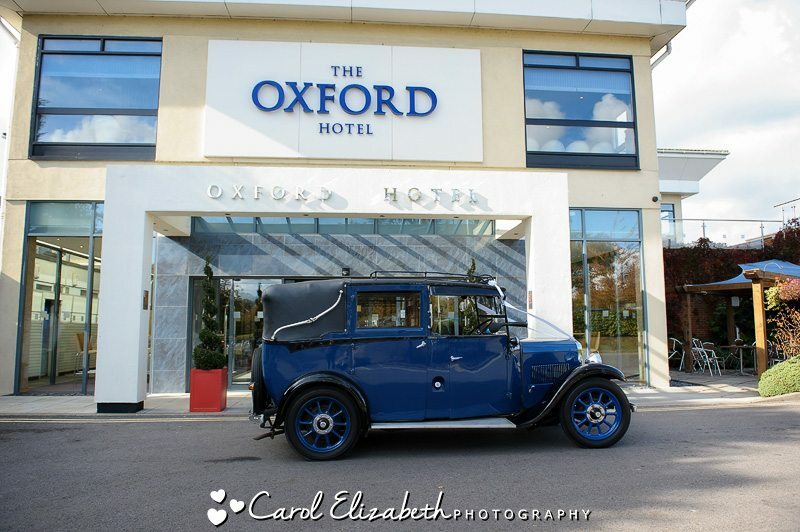 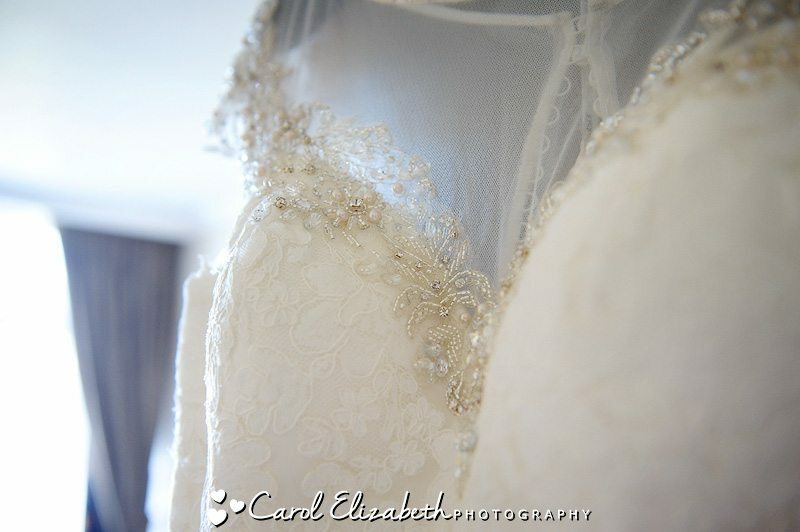 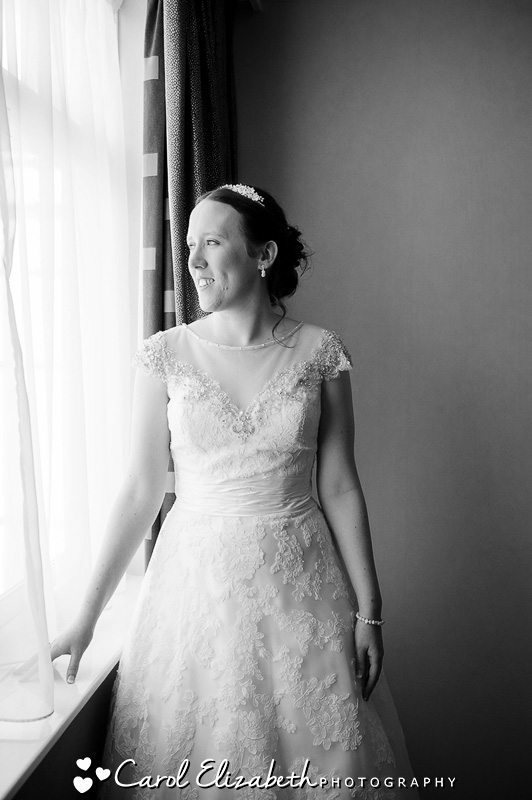 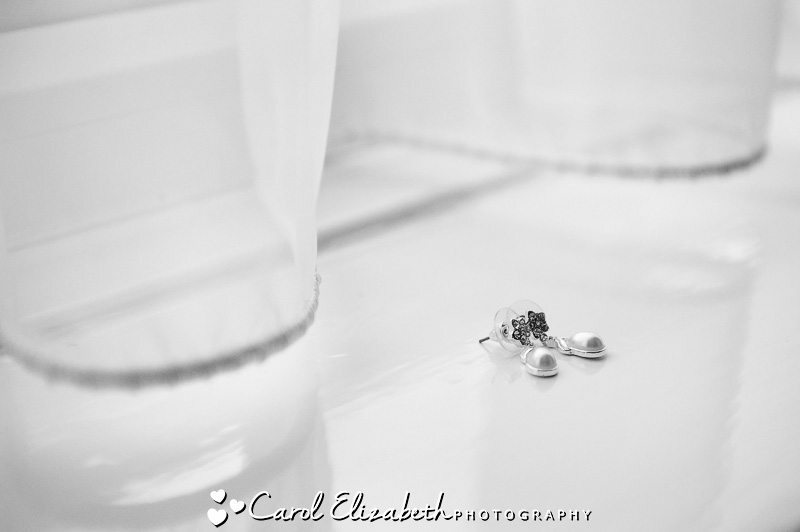 I started my day with Lynsey at The Oxford Hotel for her bridal preparations. 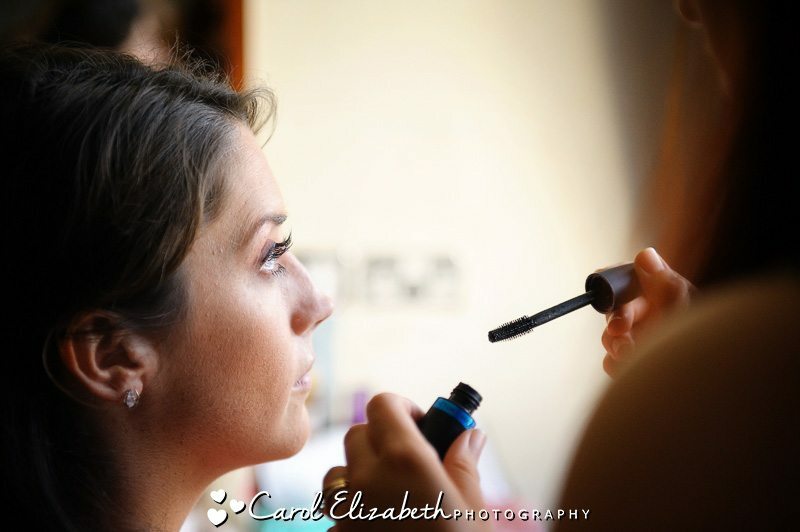 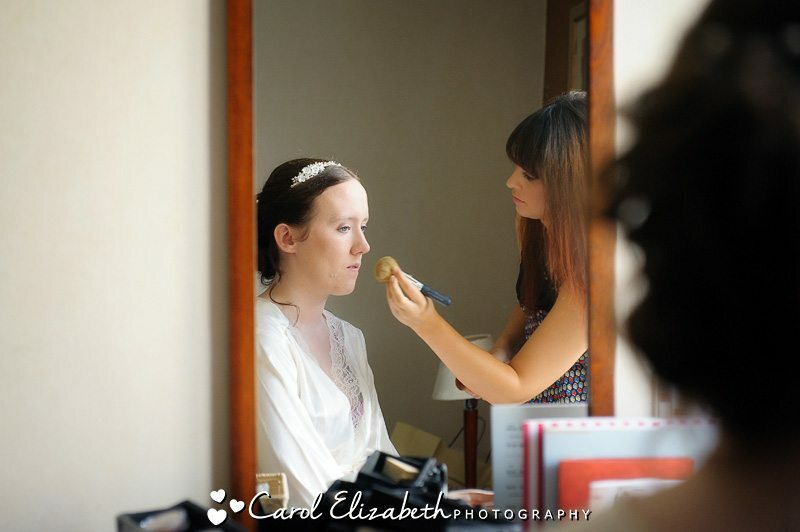 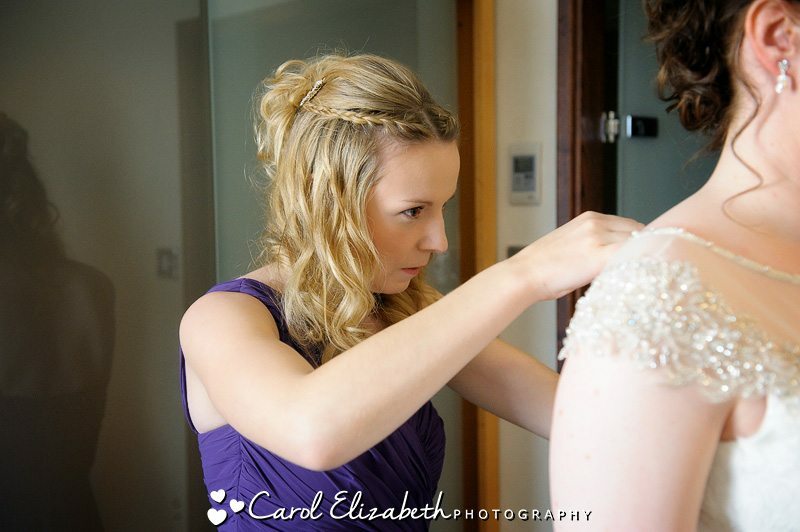 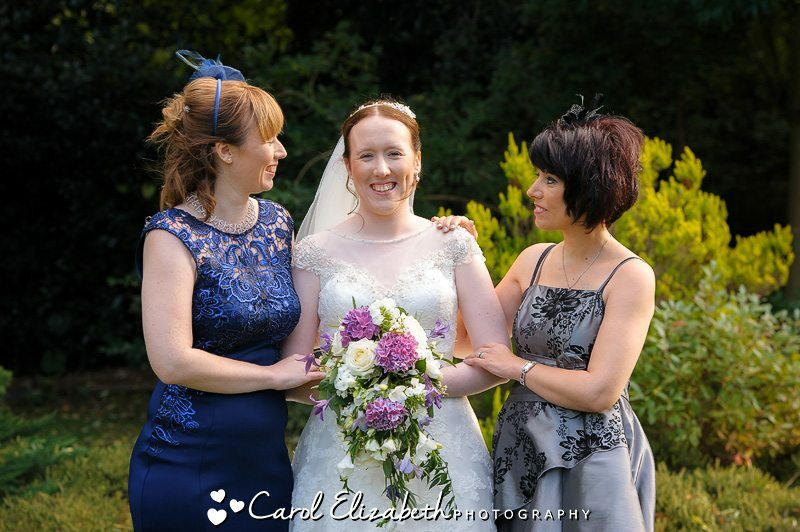 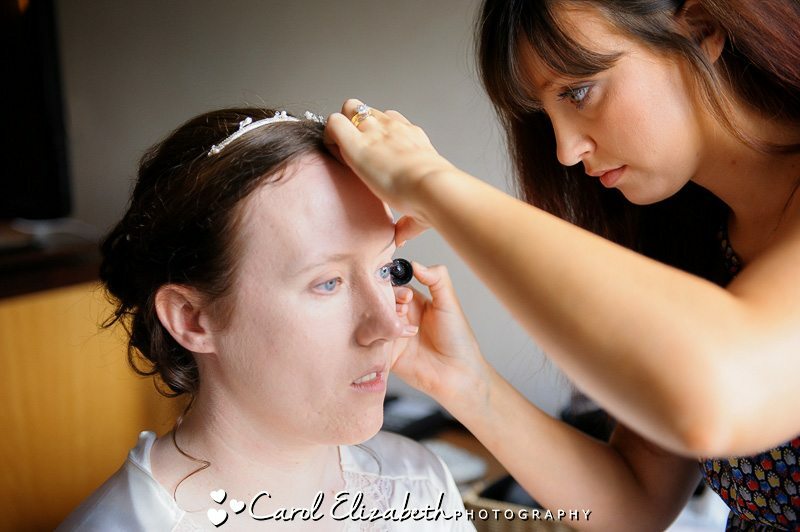 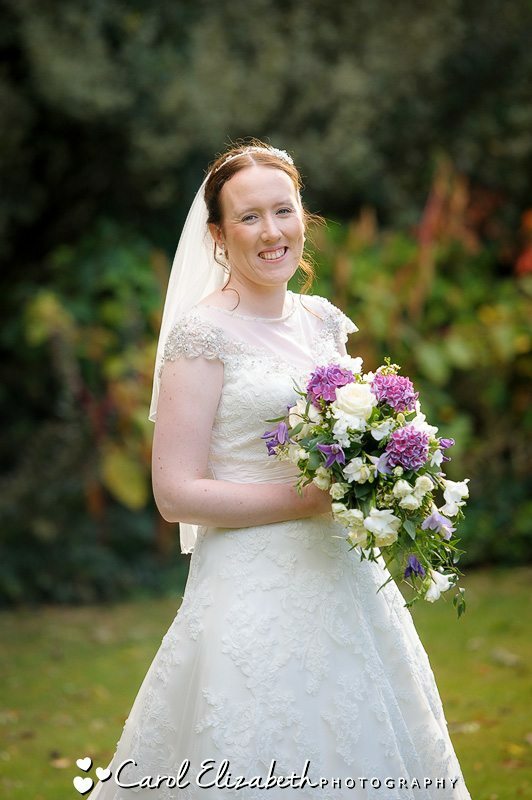 Clare from Simply You in Witney did a fantastic job with the make-up preparations and I highly recommend her – clickety-click here for a link to Clare’s website. 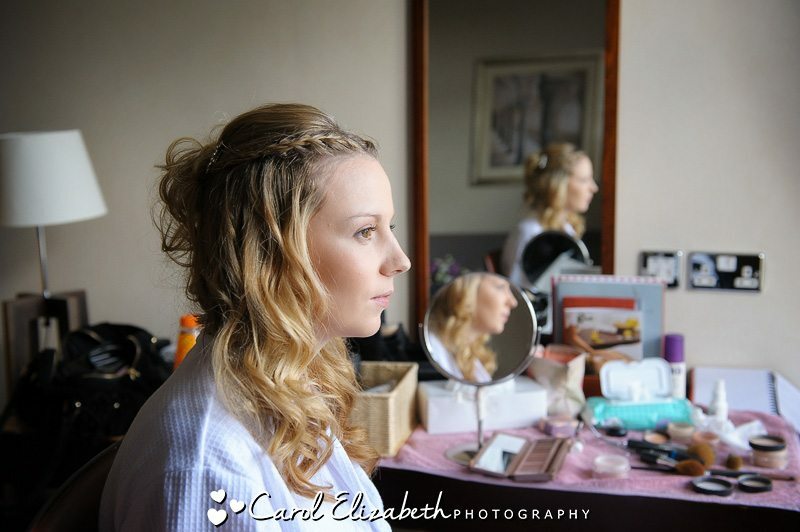 The man-of-honour and bridesmaids soon arrived for their make-up and to get dressed, it was a really jovial atmosphere and certainly helped Lynsey relax ahead of the big day. 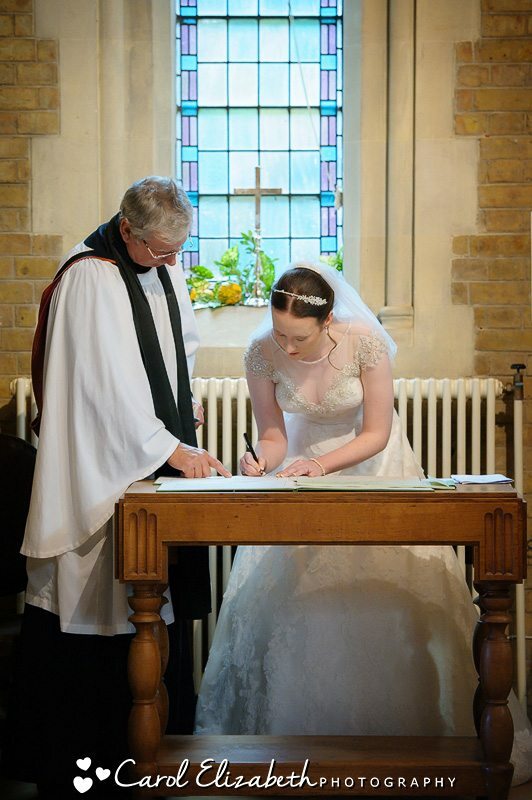 It was soon time to head off to the church. 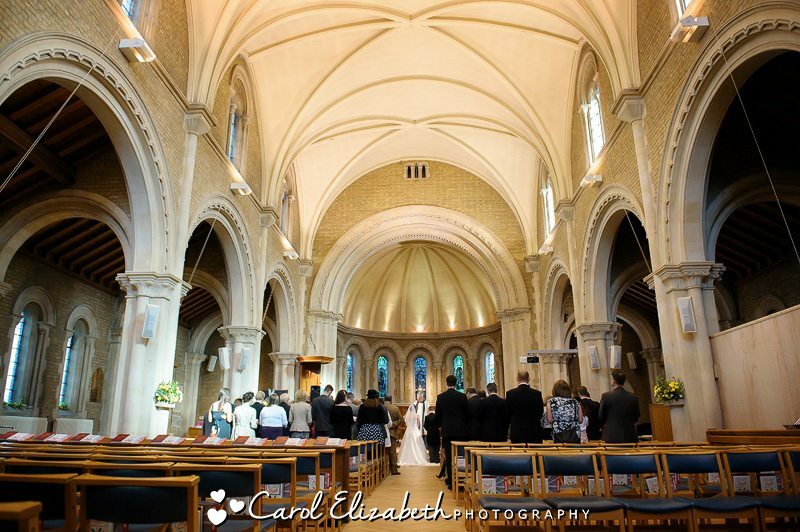 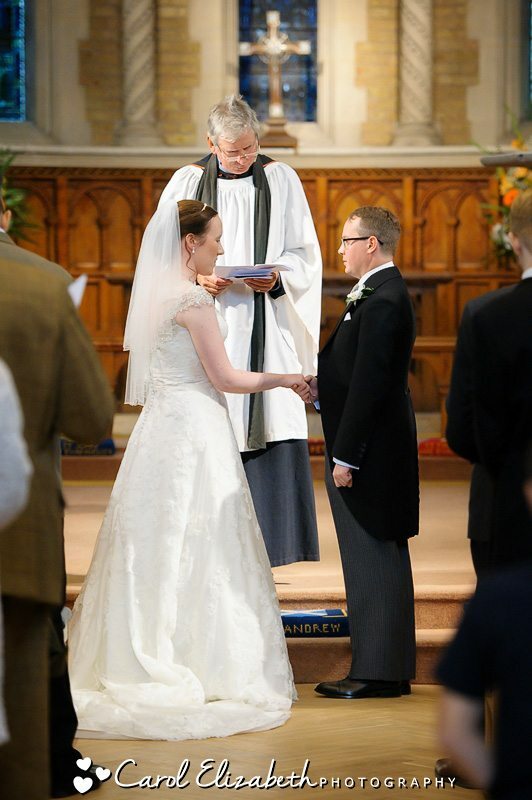 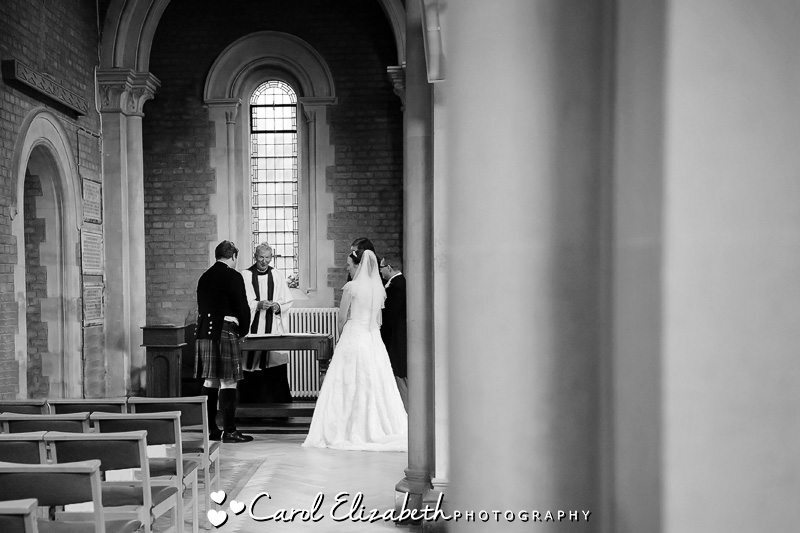 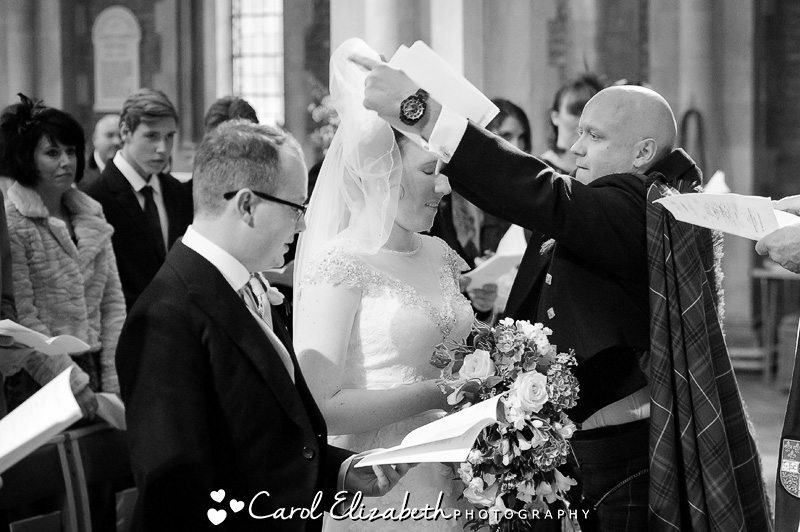 The wedding at St Andrews Church in Oxford was the first since the renovations completed and it was looking stunning. 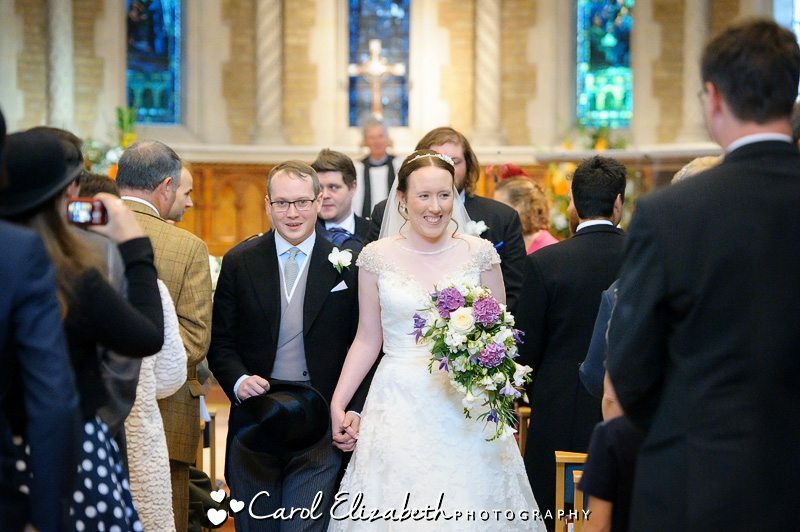 And as it was harvest festival there were plenty of lovely floral arrangements in the church. 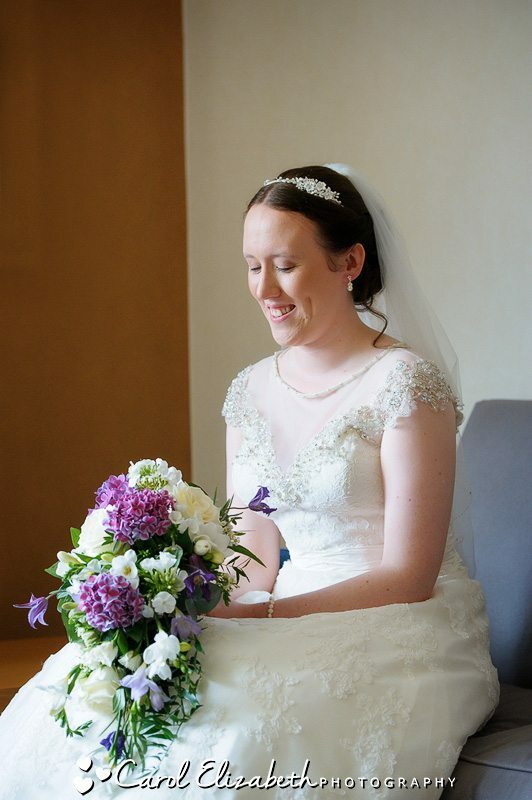 Lynsey looked gorgeous walking down the aisle to be greeted by Stephen ready to become husband and wife – always an emotional moment! 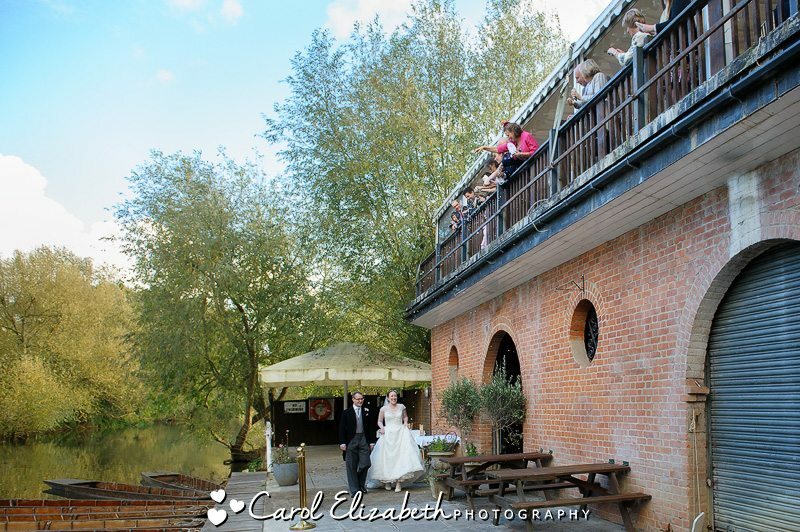 As Stephen and Lynsey were both working at the University, we were really lucky to have some Wolfson College wedding photographs in the grounds. 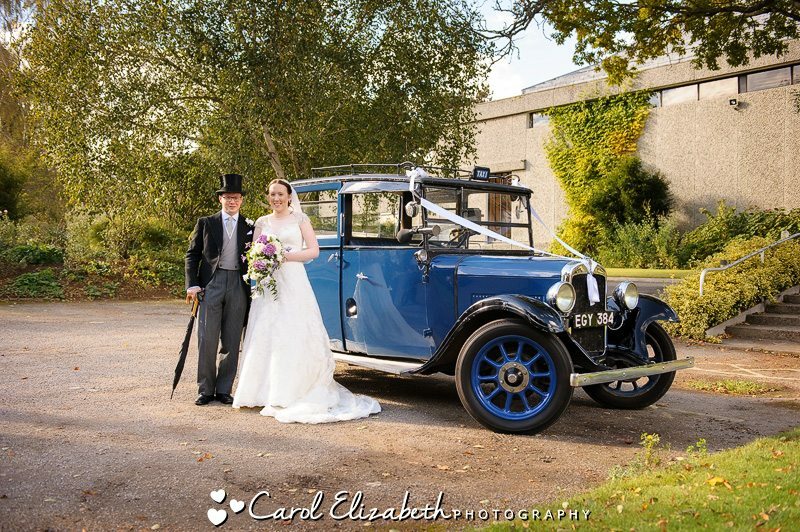 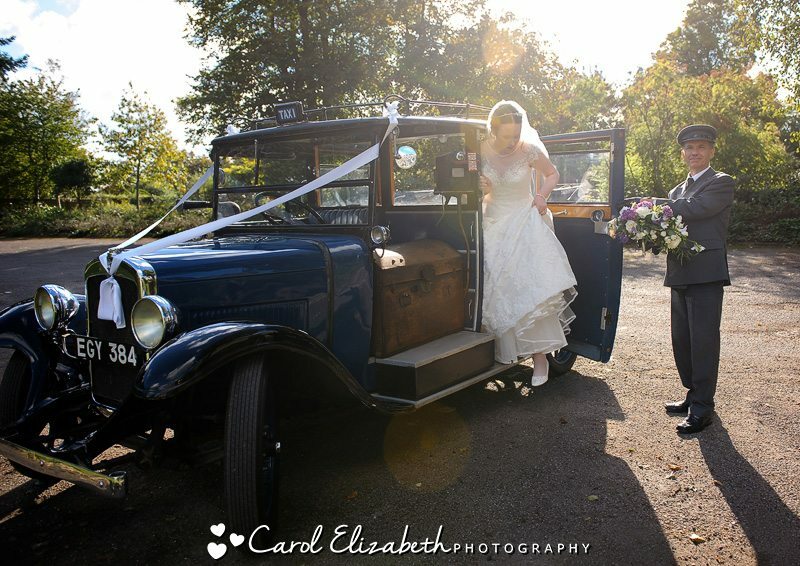 First the really lovely vintage car, followed by the groups, then bride and groom portraits in the afternoon sunshine. 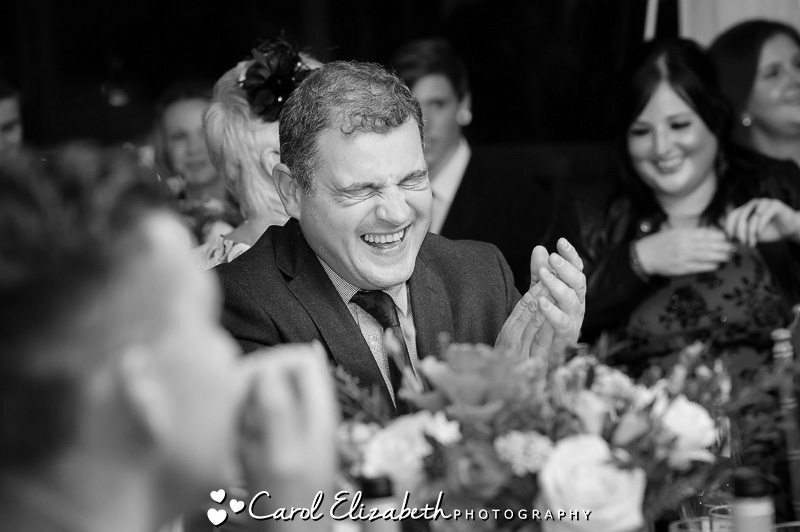 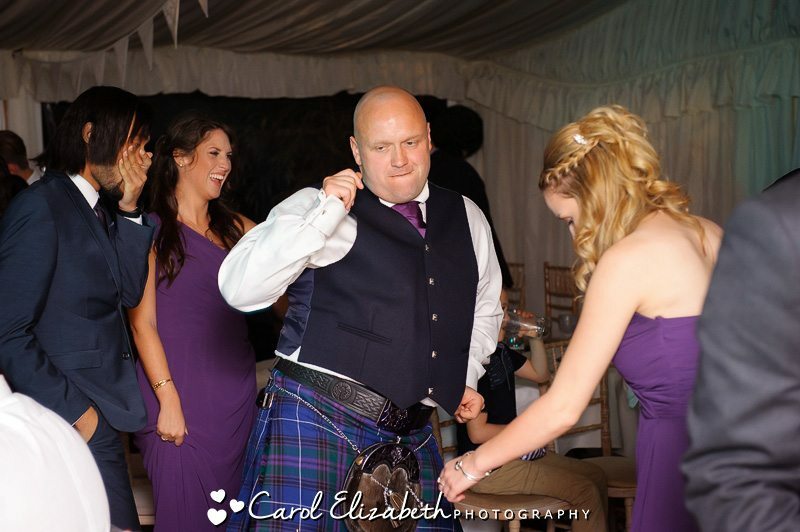 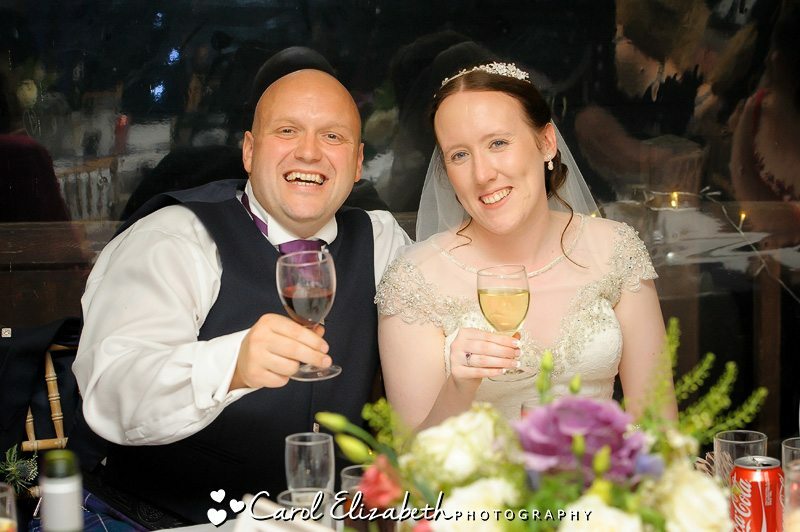 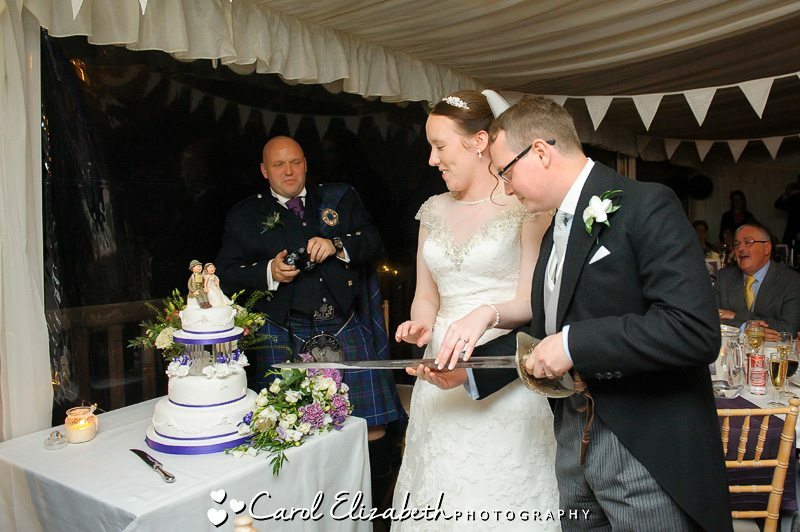 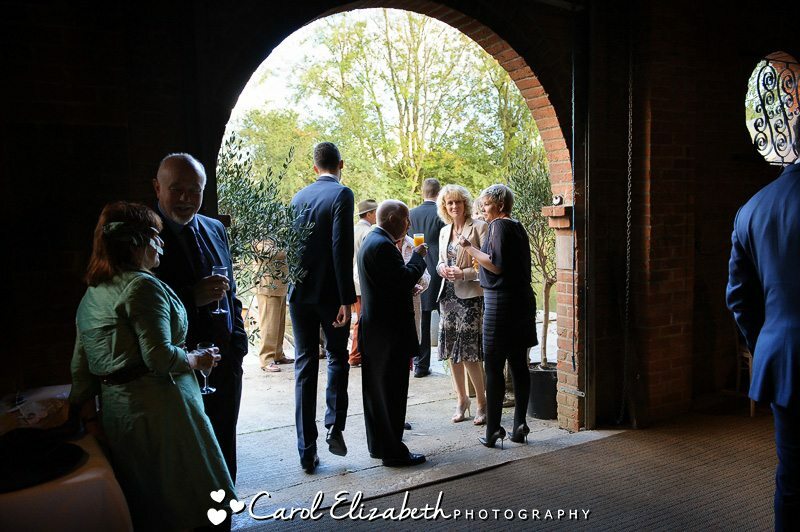 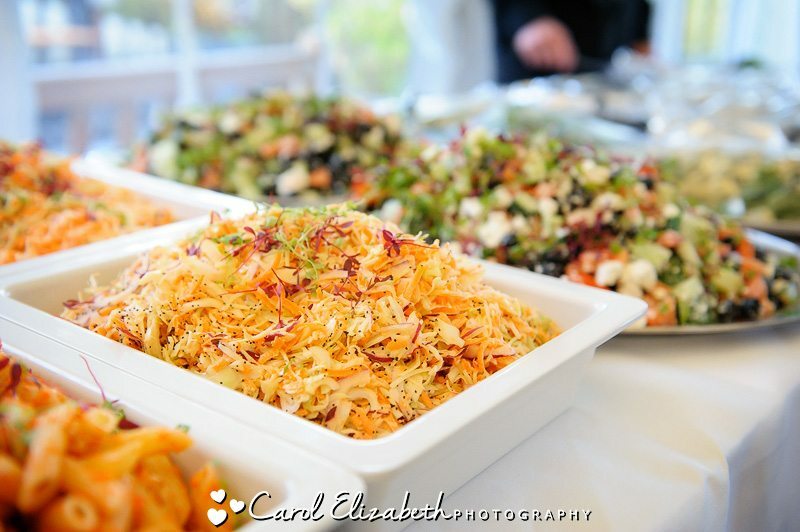 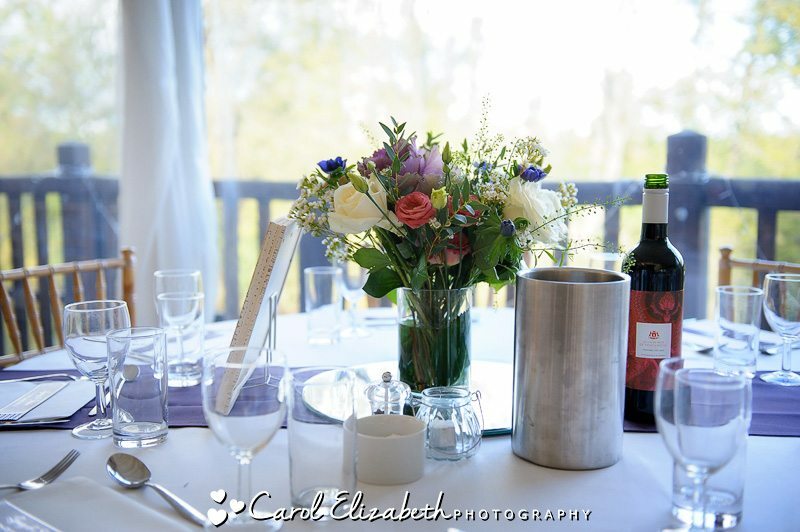 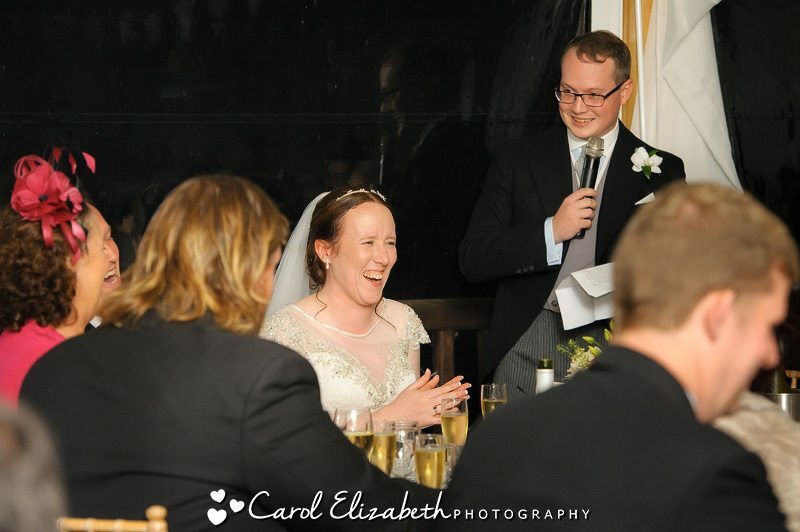 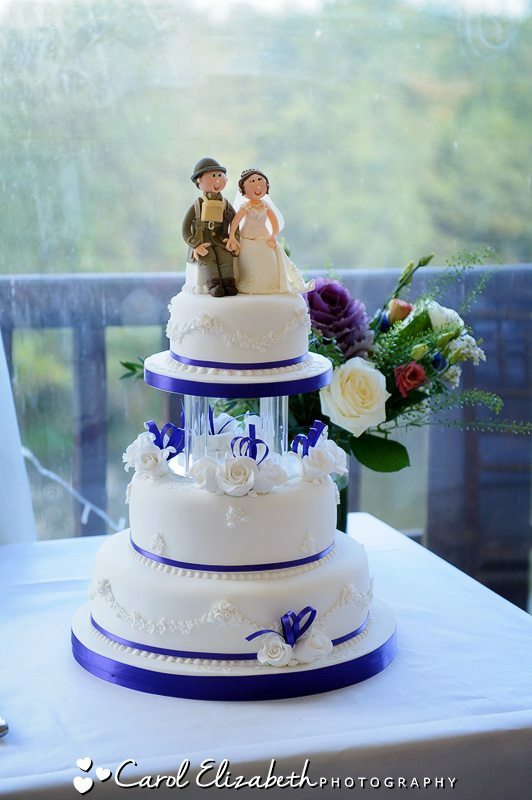 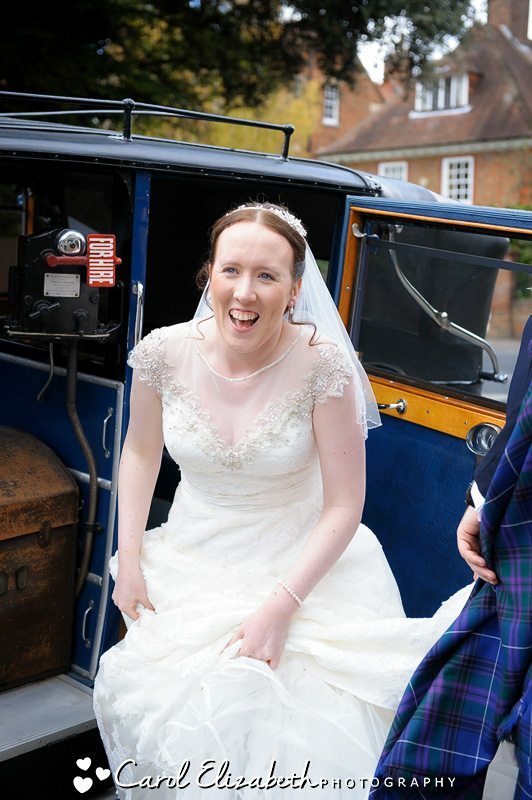 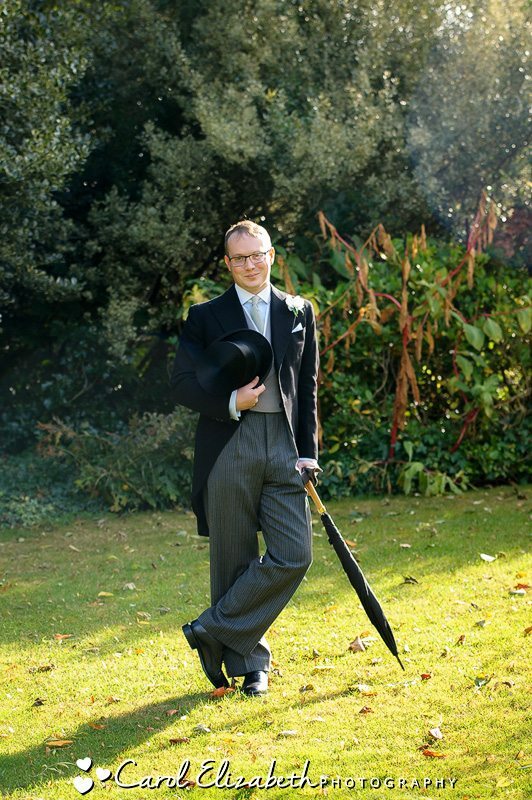 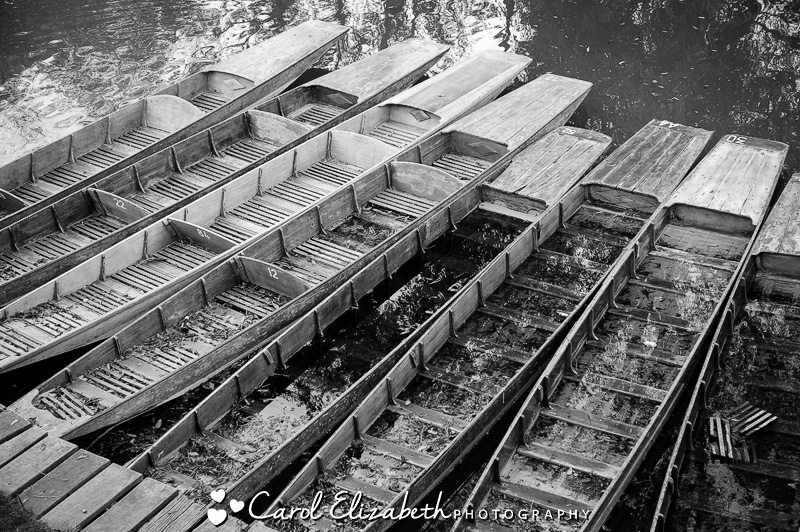 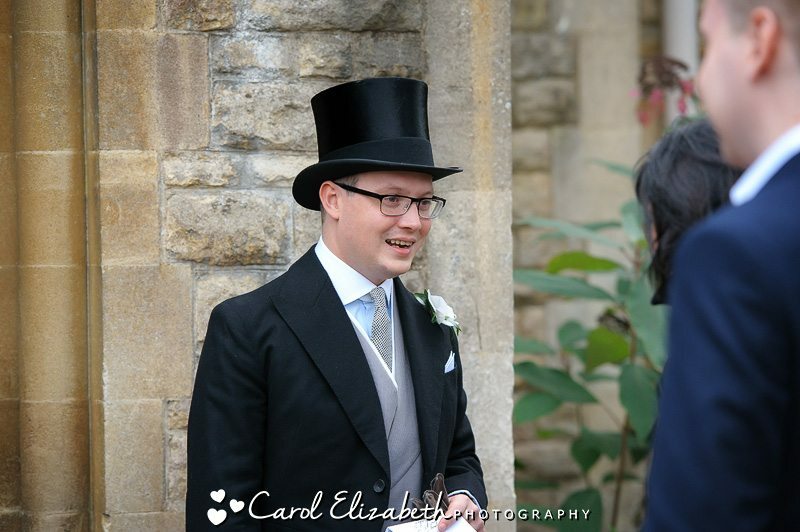 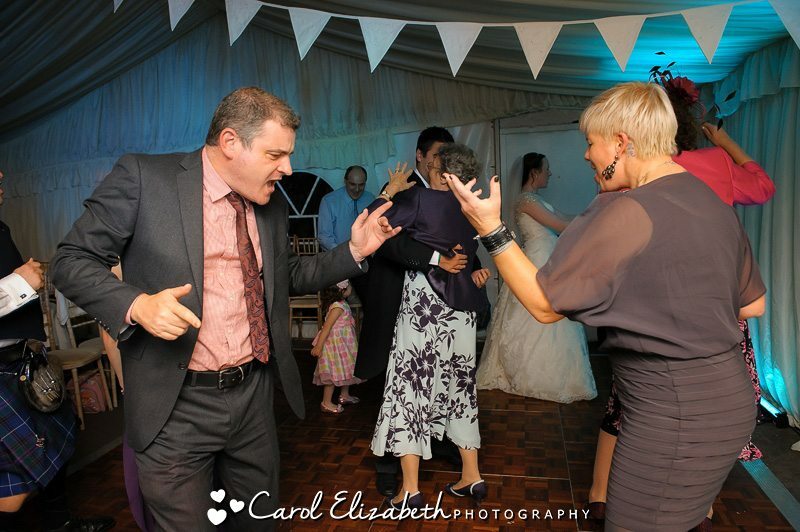 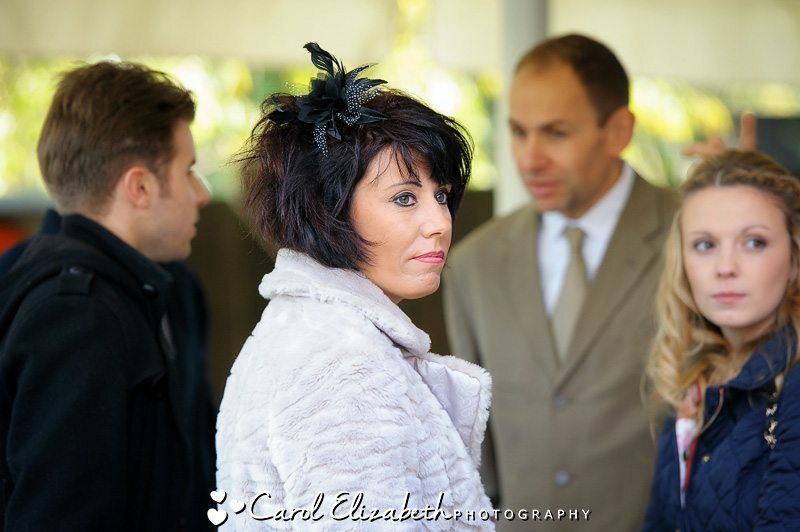 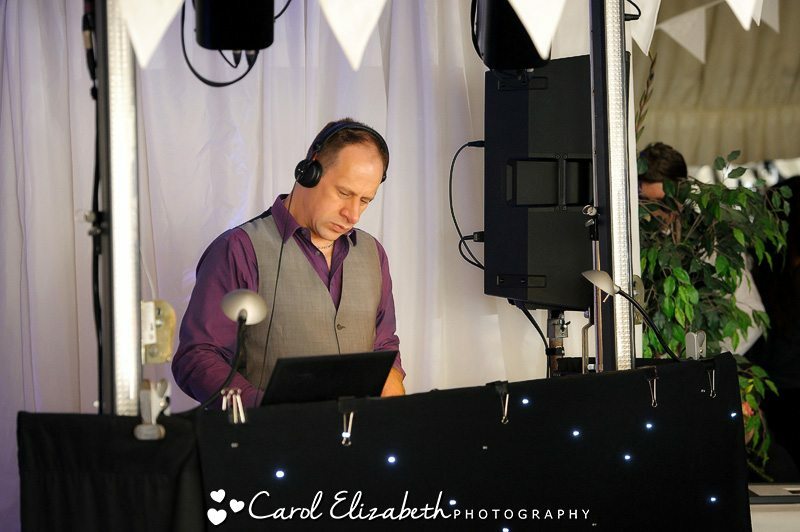 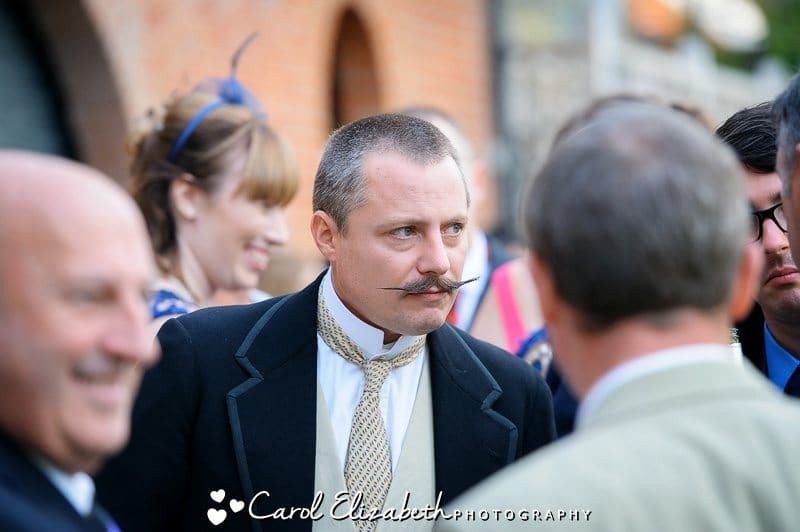 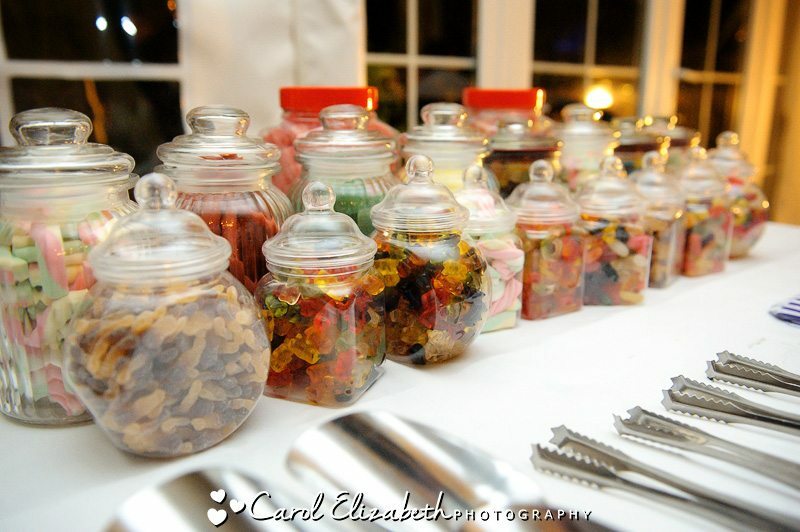 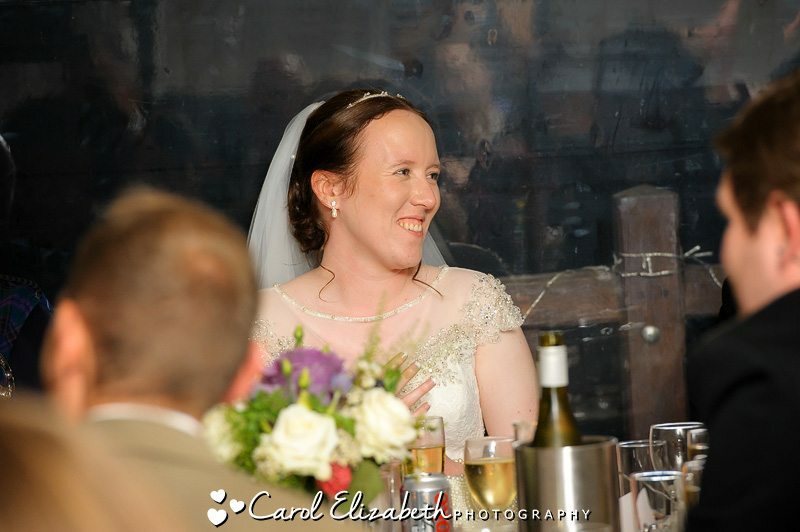 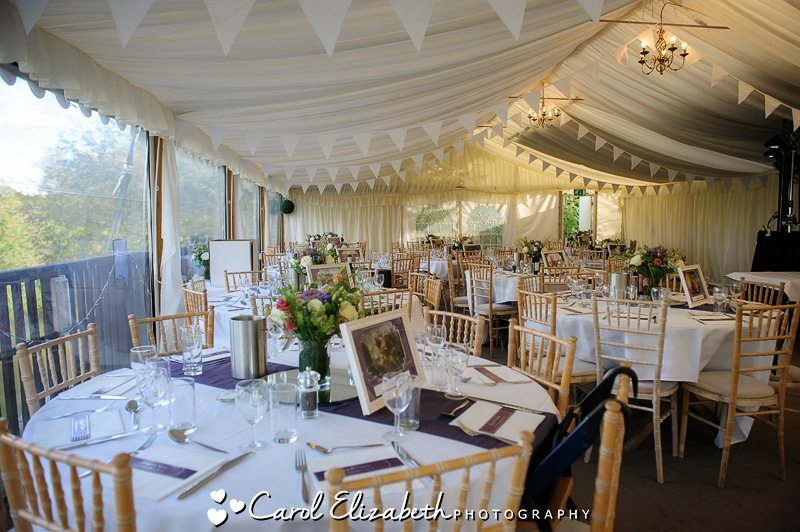 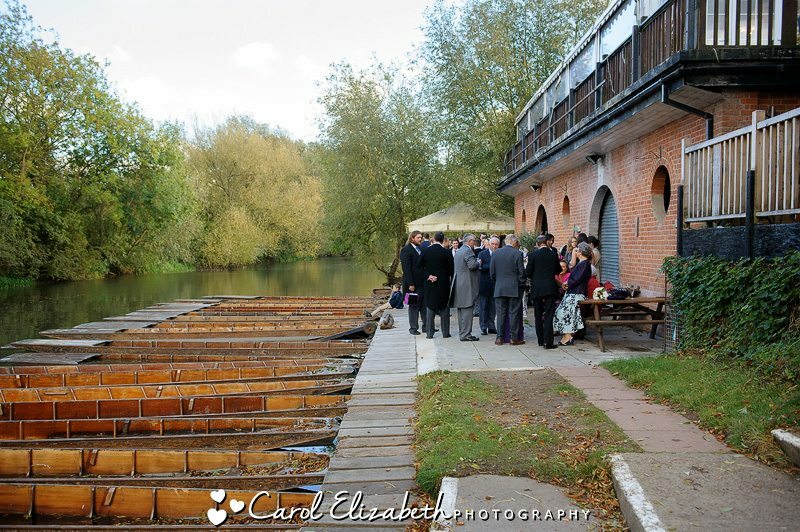 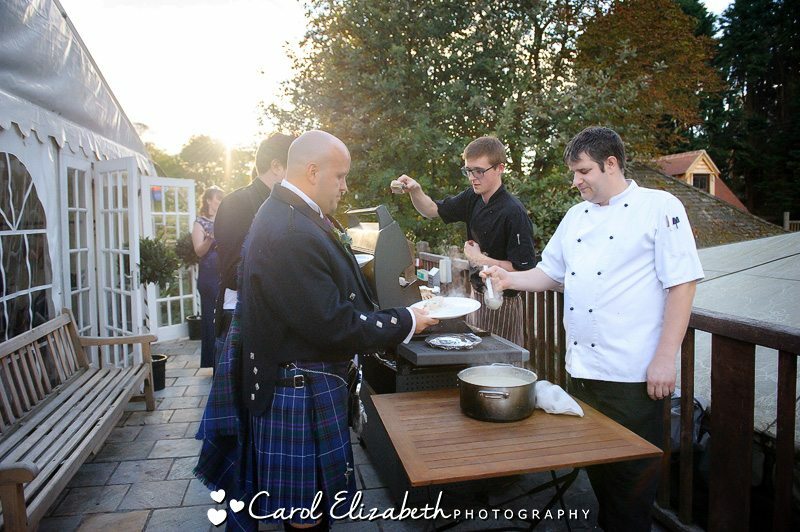 We then headed off to the Cherwell Boathouse wedding reception, which was next door – very handy! 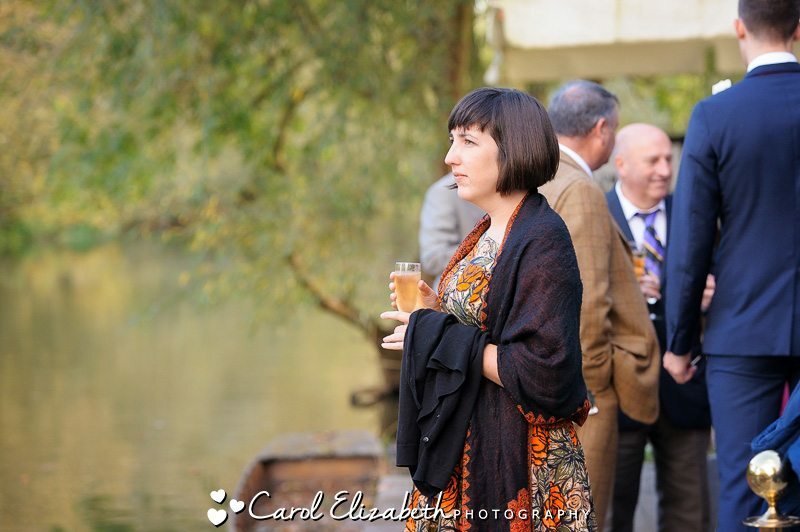 When I arrived the guests were already sipping drinks next to the river whilst Lynsey and Stephen had plenty of time to catch up with their friends and family and enjoy a drink themselves. 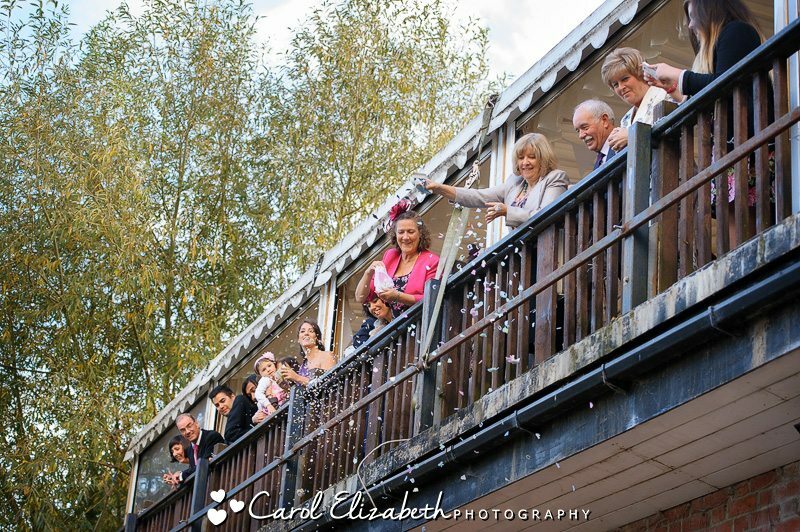 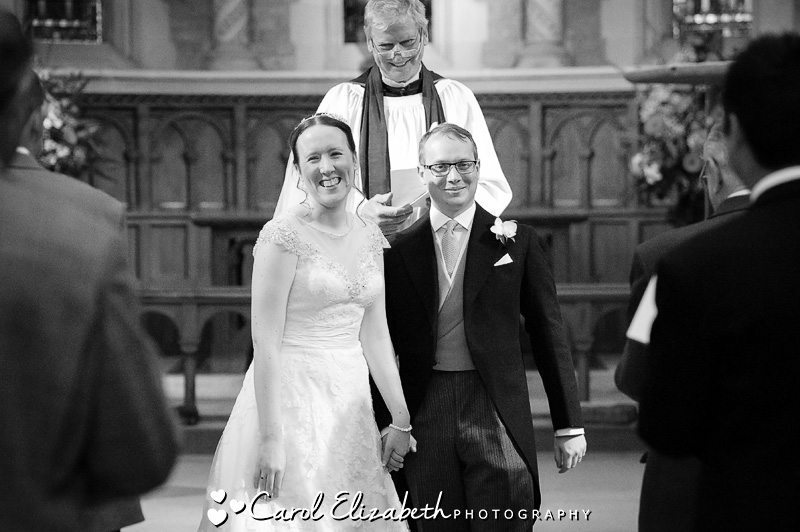 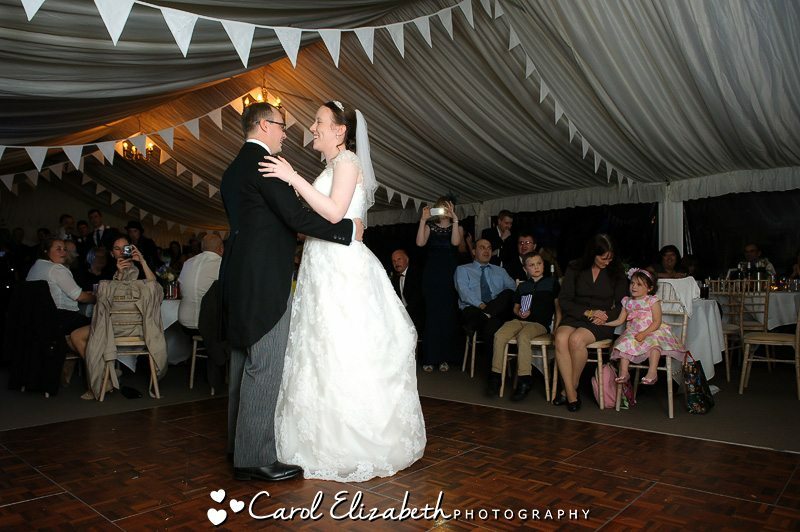 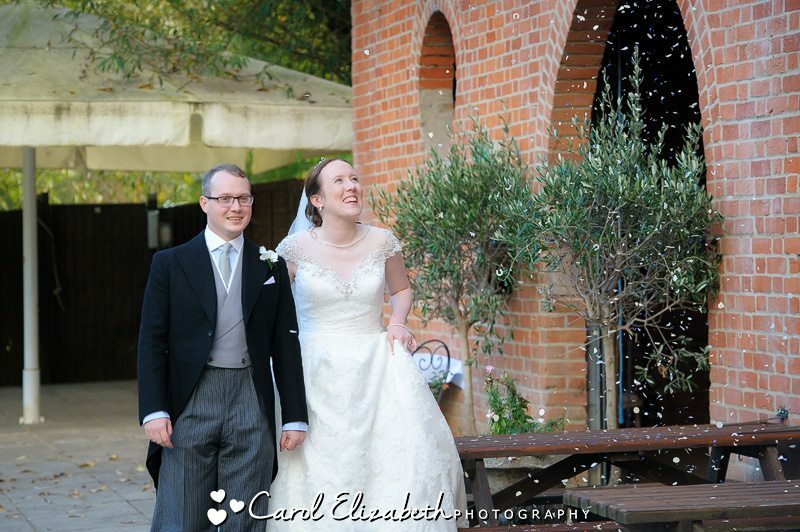 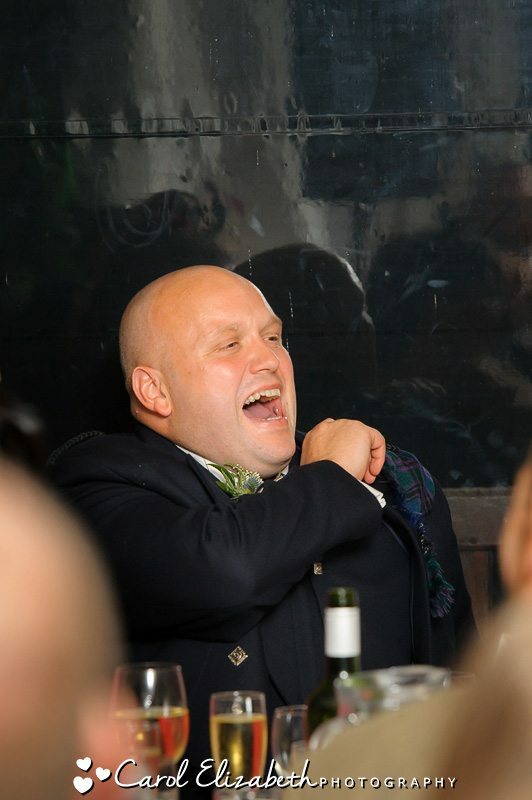 The confetti photo was really fun – throwing confetti onto the bride and groom was a first for me, but everyone loved it!